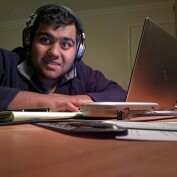 Avijoy Roy Choudhury is a freelance content writer, blogger and entrepreneur who based in various cities around the world including Montreal, Perth and London, Avijoy has been writing online for over 5 years on sites such as sportchatplace.com. With tons of experience and knowledge on subjects ranging from sports, travel, entertainment, history and current affairs, Avijoy is on the path of changing the world by words. Find Avijoy on twitter @avius110.